Final Fantasy XV Windows Edition, the PC release of the latest entry in the series, is going to come with one feature that will not be included in the Royal Edition of the game launching on consoles next month: modding tools. In a recent interview, members of the development team have talked more about the matter, stating that they want to keep everything as free and open as possible. 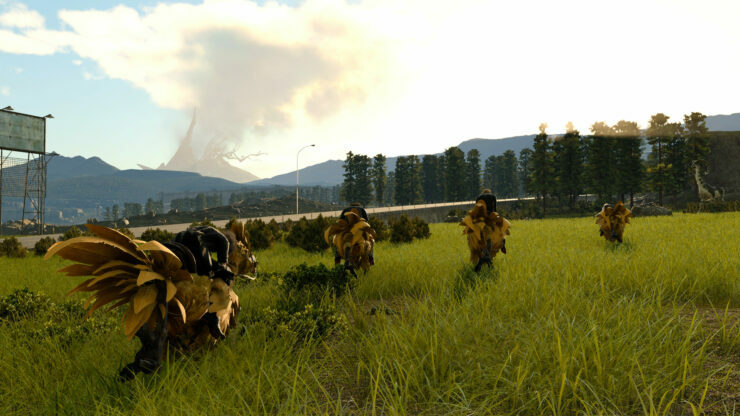 Speaking with Rock, Paper, Shotgun, Final Fantasy XV Windows Edition director Hajime Tabata, technical director and lead programmer Takeshi Aramaki and game design and development manager Kenichi Shida have talked about modding tools and what players will be able to alter. Kenichi Shida, in particular, said that the team wants to keep everything as free as possible, as that is what a large portion of the PC gaming community wants. We really want to keep it as free and open as possible to people, so rather than just telling people what we’re going to give them, we want to make an environment where people can be as free as possible to make their own mods. We’re planning to provide an official modding tool for that as well. Takeshi Aramaki provided some additional details, revealing that they want to keep everything simple so that even those without programming knowledge will be able to use them. Additionally, he said that modding tools will be out very soon after release and they will eventually allow altering story progression and more. We’re also trying to make [the tool] something where you don’t need any previous programming knowledge to do. Anyone will be able to pick it up and use it. At first it will be quite limited, with the ability to switch around costumes and reskin things in the game, but slowly we’re going to add more and more freedom to the tool to allow you to do different things. For example, play around with the story progression and the levels. The possibility of altering story progression and level design is definitely interesting. Will we see mods that try to recreate what we know of Final Fantasy Versus XIII? I sure hope so. Final Fantasy XV Windows Edition launches on Steam, Origin and Windows Store on March 6th. The game’s Royal Edition also launches on the same day on PlayStation 4 and Xbox One.